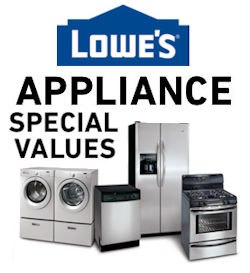 Lowe's Black Friday Appliance Special Values are Here Early! 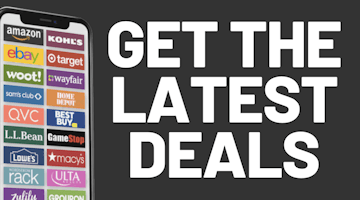 Joining Home Depot, Lowe's has also put their Black Friday appliance specials online weeks before Black Friday so you can take advantage of the deals without fighting crowds and can also get your new appliances before the Thanksgiving and Christmas holidays. Free delivery on $396 or more. Also this year, get up to a $600 Lowe's gift card via rebate by purchasing more than one appliance together. Get a $50 gift card with 2 appliances, $100 with 3, $200 with 4, $300 with 5 or $600 with 6 or more appliances priced at $396 or more. Savings available through November 29th.